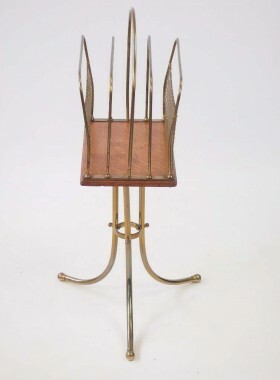 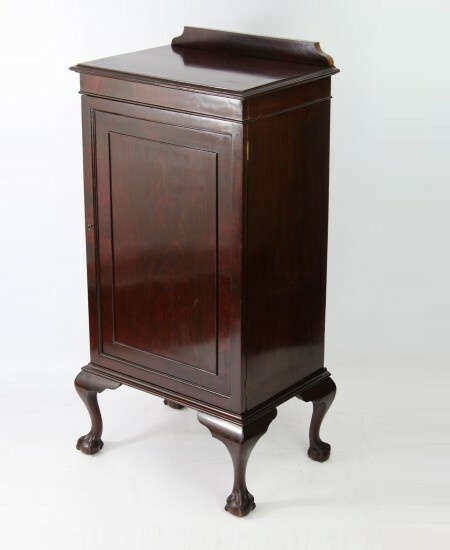 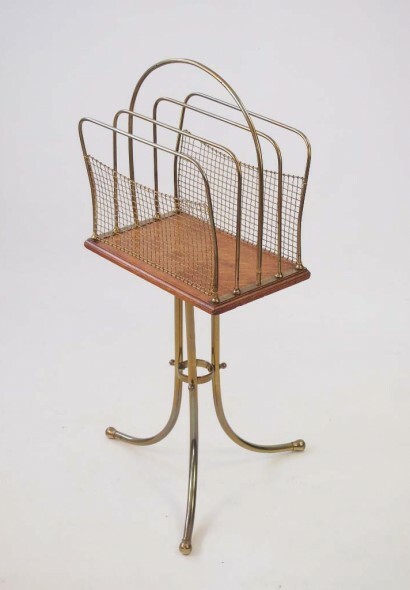 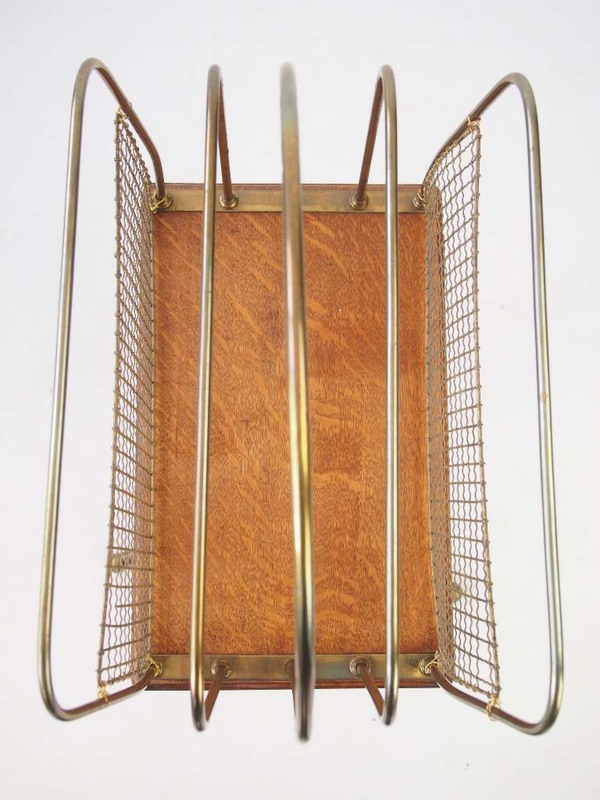 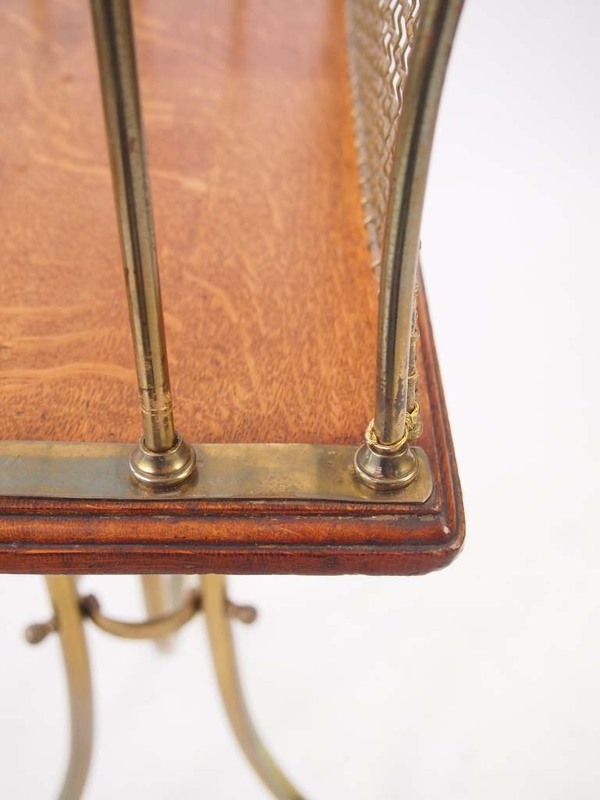 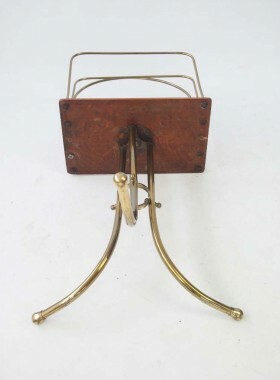 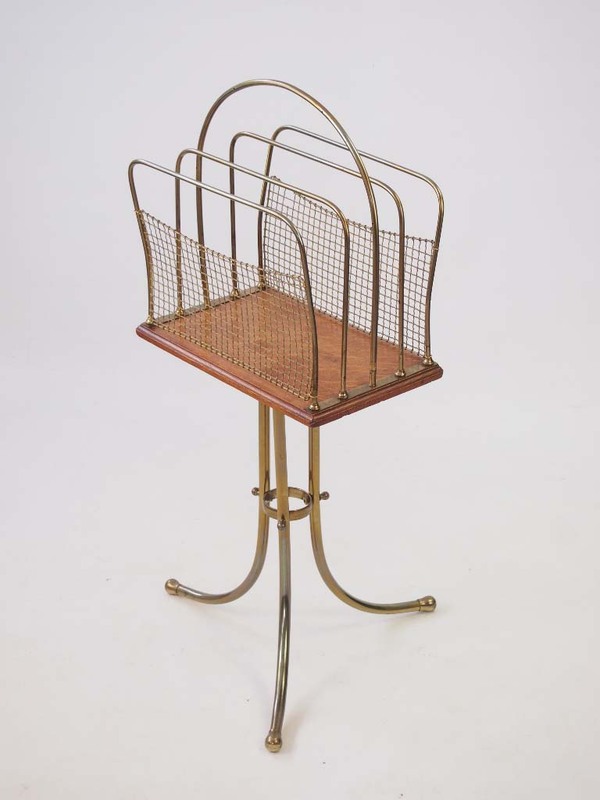 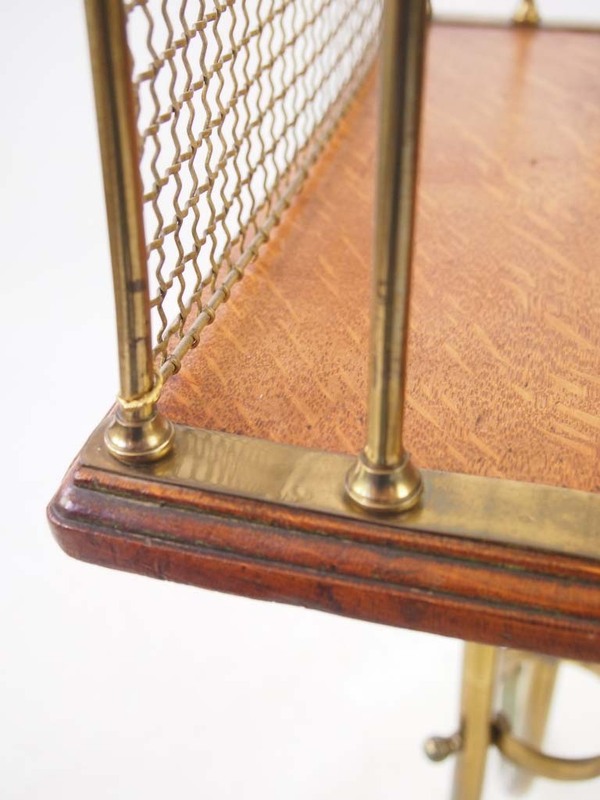 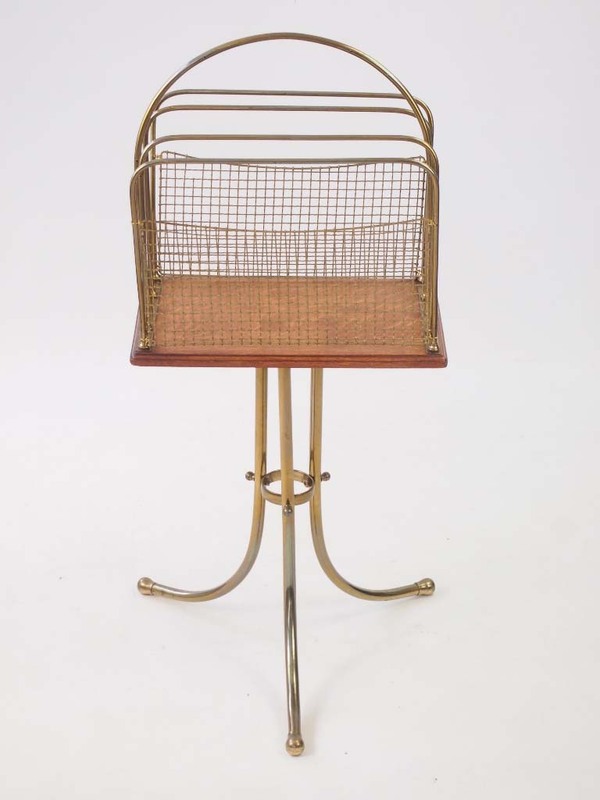 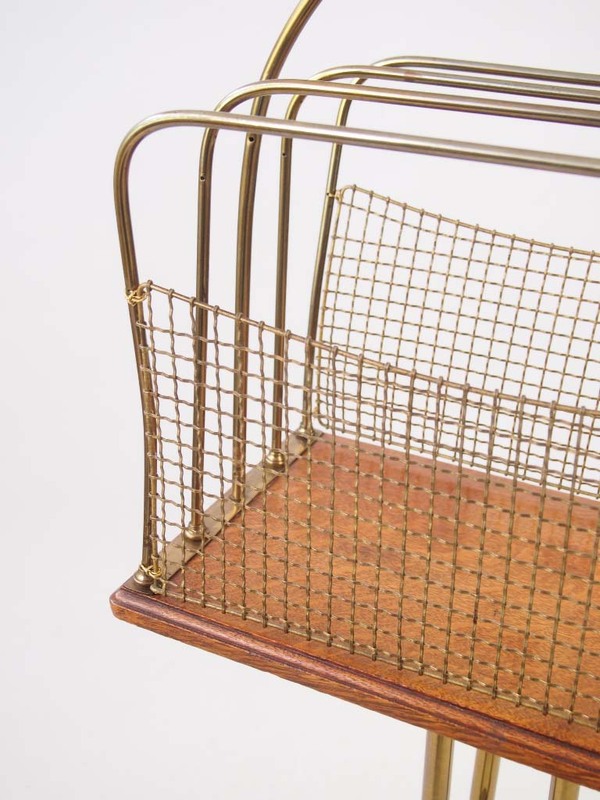 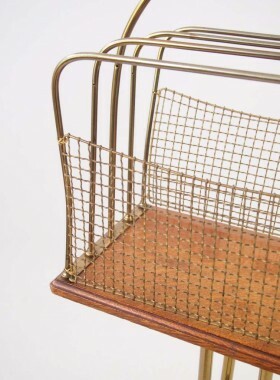 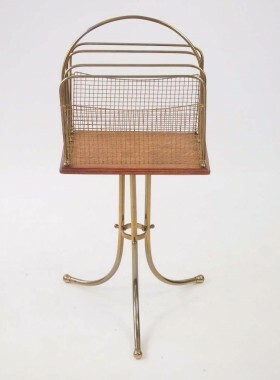 A handsome antique Edwardian brass and oak revolving newspaper or magazine rack circa 1905. 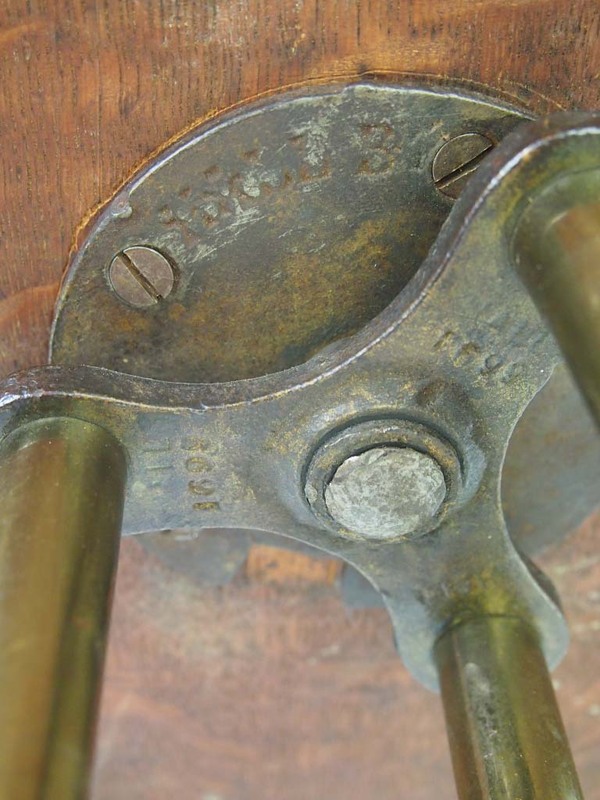 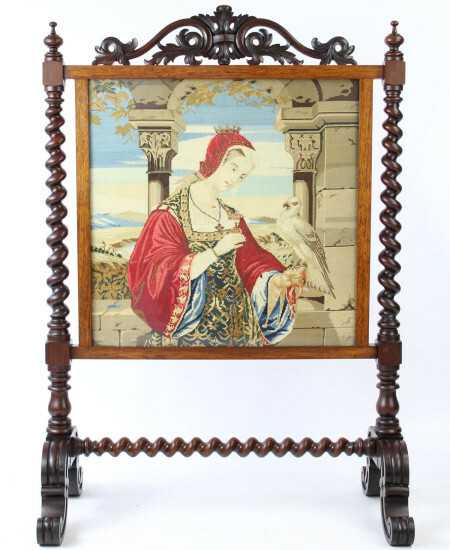 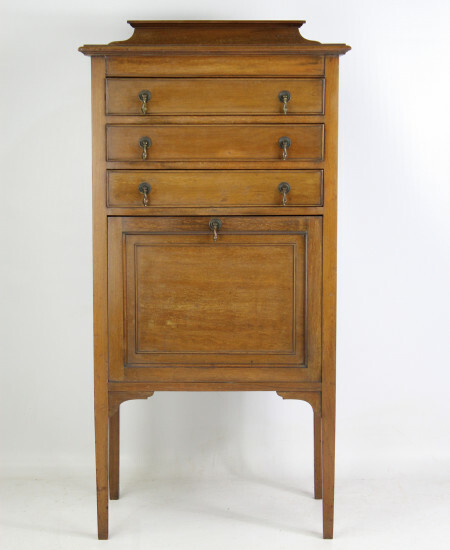 Categories: Antique Oak Furniture, Antique Tables & Stands, Edwardian Furniture. 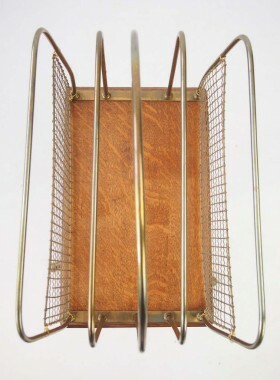 A handsome antique Edwardian brass and oak revolving newspaper or magazine rack circa 1905. 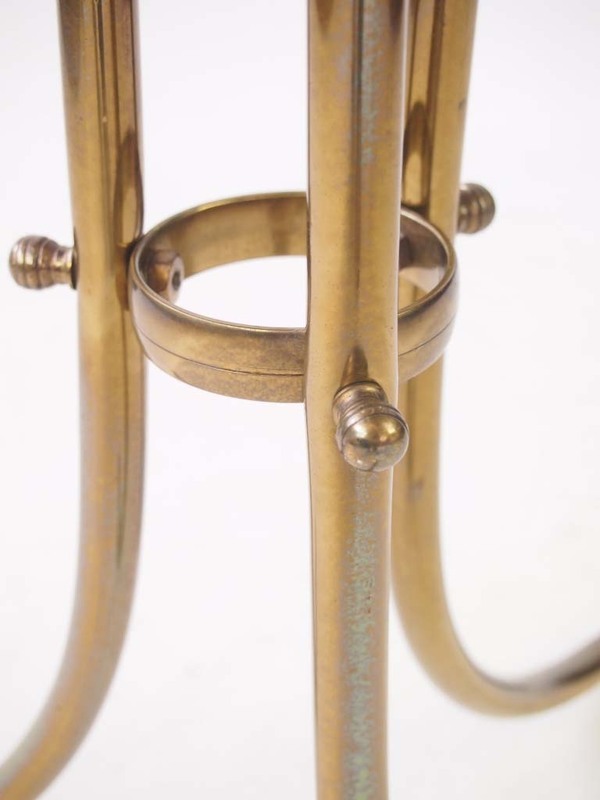 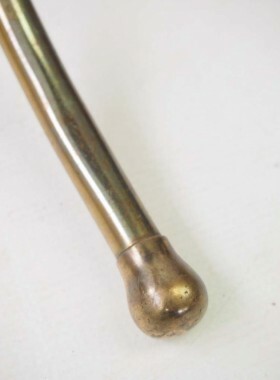 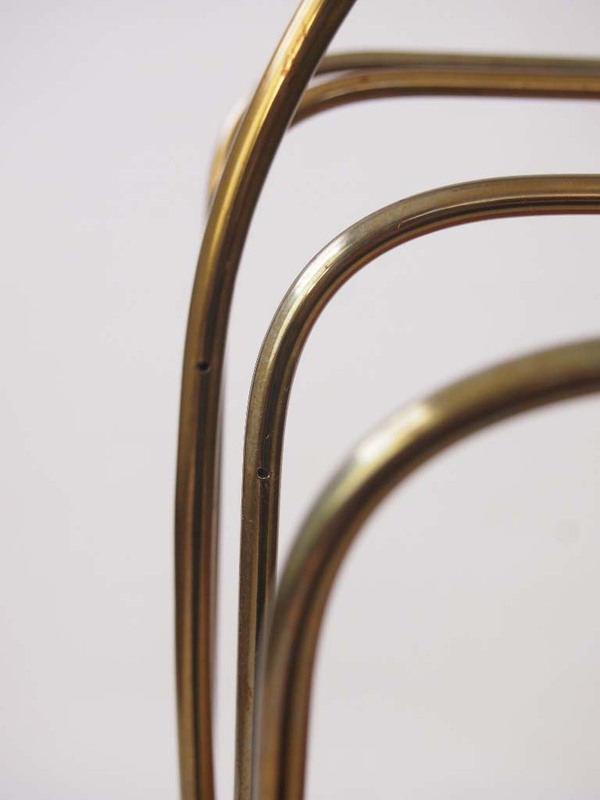 With 5 arched tubular brass rails on an oak base with moulded edge. Revolving on a tripod base with shaped feet. 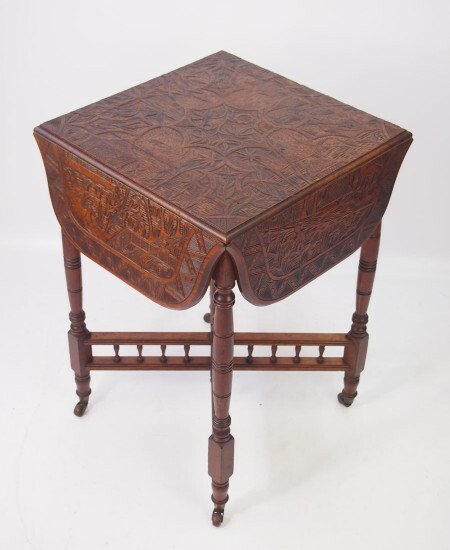 Good original condition, stamped Hall BM underneath. Good original condition. Solid and sturdy. 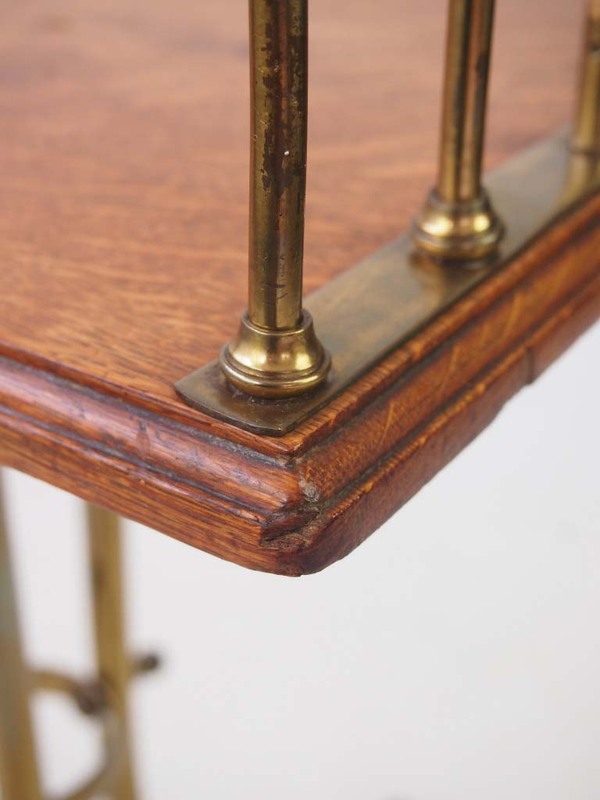 Nice age and patina to the oak.